Microsoft cloud business- While Microsoft is arguably best known for being the company behind Windows, its cloud business could soon be a bigger deal in terms of revenue. 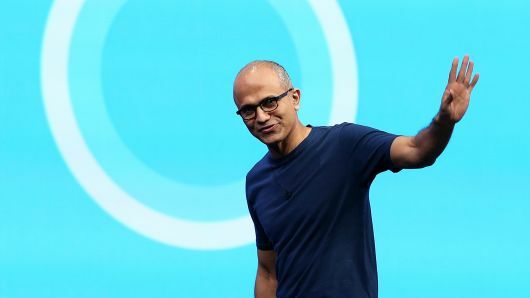 In a note distributed to clients on Thursday, KeyBanc Capital Markets analysts Brent Bracelin and Clarke Jeffries estimated that Microsoft’s Azure public cloud will generate more revenue than Windows in the 2021 fiscal year. Microsoft wasn’t first to market in the public cloud, which involves charging customers for the use of computing and storage resources provided from Microsoft’ data centers located around the world. Amazon introduced its Amazon Web Services (AWS) cloud years earlier, and today AWS is the leader of the market, while Azure is in second place. Microsoft has placed a higher priority on cloud under CEO Satya Nadella and increased its support for open-source technologies like Linux. “This budding love affair for open-source is partially tied to cloud economics with Azure revenue posed to exceed Windows in three years,” wrote Bracelin and Jefferies. Although Microsoft still doesn’t say how much revenue Azure is bringing in each quarter, the company does regularly talk about Azure’s growth rate. In October, the company said that in the first quarter of its 2019 fiscal year, which ended in that month, Azure revenue increased 76 percent. Across the 2018 fiscal year, which ended in June, Microsoft’s Windows revenue came out to $19.5 billion, representing 17.7 percent of the entirety of the company’s revenue The KeyBanc analysts think that in that period, Azure had $7.1 billion in revenue, or 6.4 percent of the pie. The KeyBanc analysts believe Azure will grow almost 72 percent in the 2019 fiscal year, with $12.2 billion in revenue. They think Azure will represent 9.7 percent of total revenue for the company, while Windows will grow more than 2 percent at $20 billion in revenue, or 16 percent of the total. In the 2020 fiscal year, the analysts think this pattern of strong Azure growth and slight Windows growth will continue, even if Windows will still be larger than Azure, at $20.1 billion and $18.5 billion, respectively. Bracelin and Jeffries see the shift happening in the 2021 fiscal year. They predict that Azure will do $26.4 billion in revenue, up 42.5 percent, and Windows will have revenue of $20.3 billion, up just 1 percent. At that time, Azure will account for 16.6 percent of Microsoft’s business, and Windows will be 12.8 percent of it, according to the analysts’ projections. “Windows has been an integral aspect of the PC and server landscape for 30+ years and will likely continue to be. However, the cloud-first era has opened up a much larger TAM opportunity for Microsoft beyond Windows, in our view, as evident in the bold moves that Microsoft has made over the last four years, punctuated by the acquisition of GitHub for $7.5B and the contribution of 60K patents to the OIN [Open Innovation Network] last month,” Bracelin and Jeffries wrote. The analysts estimate that GitHub has 73 percent of the code-hosting market. They peg Atlassian’s competing Bitbucket product at 10 percent and privately-held GitLab at 17 percent. The post Microsoft’s cloud business could be bigger than Windows by 2021, KeyBanc says appeared first on erpinnews.